The University of Texas Health Science Center at Houston is studying a faster lab test for Group B Strep (GBS), a common cause of life-threatening infections in newborns. The lab test is made by NanoLogix Inc., a biotech company in Hubbard, Ohio. According to the U.S. Centers for Disease Control and Prevention (CDC), GBS is a common cause of sepsis and meningitis, and a frequent cause of pneumonia in newborns. The CDC estimates the bacterium, which is passed from mother to child through the birth canal, is carried by about 25 percent of women. But because GBS has few symptoms, many women do not know they are carriers. CDC recommends that pregnant women get screened for GBS at 35 to 37 weeks gestation, and if found, antibiotics can be administered at the time of delivery to kill the bacteria. Nearly 13 percent of patients experience pre-term labor before they are screened, however, and up to 15 percent of pregnant women who arrive for full-term delivery have not been screened. 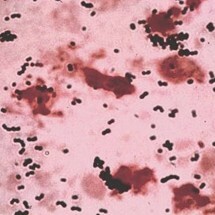 Because current tests takes 48 to 72 hours for results, obstetricians must determine whether to give women who have not been screened intravenous antibiotics automatically or use risk factors, shown to be only half as effective as laboratory tests, to assess whether the patient has the bacteria. The proposed test reports results in about four hours, which would provide clinicians with a better and faster solution. The faster test could cut down on the unnecessary use of antibiotics, which can save money and avoids adverse reactions that patients may have to them. The study is expected to enroll 300 pregnant patients during their regular GBS screening at the health center’s clinics.